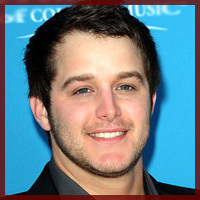 Easton Corbin - Houston Rodeo Tickets - A Little More Country Than That" and "Roll With It"
Easton Corbin started singing country with Mercury Records Nashville in 2009 and released his self-titled debut album in March 2010. That album contained his #1 hits "A Little More Country Than That" and "Roll With It". In 2012 he released his 2nd album scoring hits with "Lovin' You Is Fun", and "All Over the Road". He's sold almost half a million albums and as many singles. Checkout our information page for details and don't forget parking.